Kumar Sangakkara has lauded praise onto his Surrey teammates despite scoring a record-breaking 171 himself on the opening day of their County Championship match against Somerset. The 38-year-old believes that the way in which he partners batted alongside him made his game a lot easier. “Burnsy batted beautifully. I’ve enjoyed watching him bat [from last season], he’s technically very sound, he’s good front foot or back and the really important thing I always watch for is how they score runs and Burnsy goes out there to score runs, so does Jason, so does Steven Davies and of course the Baron, Arun Harinath. 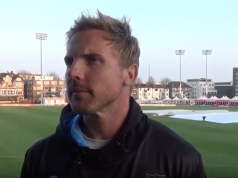 Jason Roy hit 85 after Rory Burns was dismissed for 80, and Sangakkara suggested that Roy was a better player than himself. “I think he’s batting a lot better than I am for sure and he’s got more ability than I have and a much greater repertoire of shots. After a strong winter with the England white-ball side, particularly his good run of form in the World T20, Sangakkara believes that Roy can go on and find a place in the Test side. “I think Jason can easily fit into Test cricket, I think he’s the kind of player who can play any format of the game. Jason is a player who can take a game away from an opposition very, very quickly and that’s very important in the modern day game. Surrey are in a strong position according to Sangakkara, closing out the first day 394-5, and he believes that the success of this opening day was important for the team. 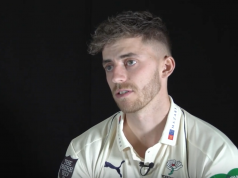 “After the Nottinghamshire game it was important that we got off to a good start, first game at home and I thought that the way that everyone went about batting, the application and the intent they showed was really good. 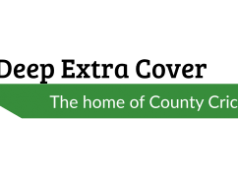 The Sri Lankan spent much of the winter playing limited overs cricket, but he feels very happy to have returned to the red-ball format and to county cricket. “What I really admire about county cricket is just that [hunger]: it’s not the easiest format of the game whether you’re a batsman or a bowler but I think it’s amazingly impressive and inspiring to have these guys around you. “I’ve learnt a lot from this dressing room and my stints with other counties about how professional they are, how motivated they are and how they keep that hunger alive.